Thank you for the very informative and detailed article. I’m fairly new to the use of Luminosity masking and have purchased yours and Sean Bagshaws tutorials. While I appreciate your findings that the 16 bit masks will very likely show little or no improvement in the processed image under normal circumstances. I can foresee a day when camera image sensors may improve to the point where the difference could be more noticeable. So as you say in the article, why not use the best tool available. Even if it’s not significantly noticeable now, perhaps more so in the future. Thank You Much Tony and I’m hoping to see the new panel and options soon! Hey Tony, I really appreciate hearing the results of your recent experiments with 16-bit luminosity masks. It’s also interesting to learn an alternative way of creating these masks using image ‘calculations’, which helps put the whole process of using LM’s in a better perspective. Pretty amazing you went through to this extent. Impressed and as always appreciative. Wicked work and done like a scientist 😉 Look forward to the update as I currently bounce between the new and old methods (depending on what im working on). Thank you for the update. I, too, look forward to your new panel. 16 v 8: I can see differences, and they’re obvious enough for me to use 16 bit. Hi Tony, do you have try with 32bit-TIFF-file? Maybe, the 16bit-mask will work better. Good point, Jean Pierre. I have indeed tried making 32-bit luminosity masks on 32-bit images with the new 16-bit actions and they work perfectly well. In fact, they make 32-bit masks! And on the 32-bit images the difference between the 32-bit masks and the 8-bit masks appears to be more pronounced than with 16-bit images. However, the question then becomes, what do you do with luminosity masks on 32-bit images? You’re much more limited in the number of adjustment layers available and since 32-bit images are essentially only an intermediate image that will be tone-mapped to a 16-bit image, is there any point applying luminosity masks at this stage of the developing process? So in response to our comment the new actions DO make noticeably better luminosity masks on 32-bit images since the masks once again match the bit-depth of the image, which means they are a perfect match. Thanks Tony, and it looks promising. First, I often use exported 32bit-TIFF-file (ProPhotoRGB) from software, as darktable or PhotoNinja. 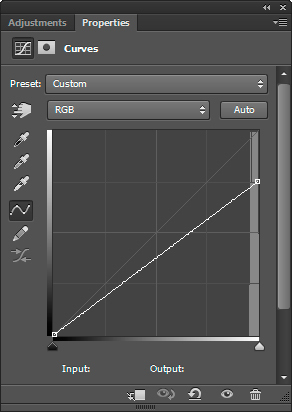 I noticed in Photoshop CS6 that the color gradation and color saturation is much much better. With this fact, the processing with mask is greatly reduced, in generally 3 to 5 mask. In some cases (landscape) 10 mask is max. Sometimes, I can already use mask in darktable by developping the RAW-file; for highlight, gradient filter, or some little things! 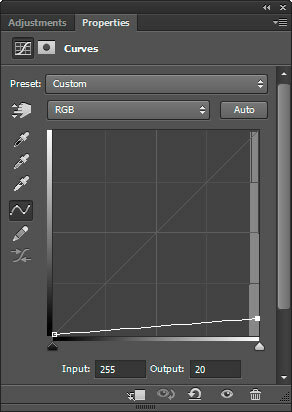 With the few TK-masks on CS6, I give the image the finish touch for WOW-effect. Then, I copy and convert the 32bitTIFF in 16bit and export it for web or printing! It is a great pitty that Camera Raw not allowed 32bit processing. Since, 10 years ago the external harddisk (for memory) was very expensive. But today, the external hard disk not cost longer to much and the computing power of the PC has been increased. It no make sense to use only 16bit TIFF, longer today !! If, I have a 32-bit TIFF image, that I reduced to JPEG for web and I take a look on the screen, then it makes Wow! 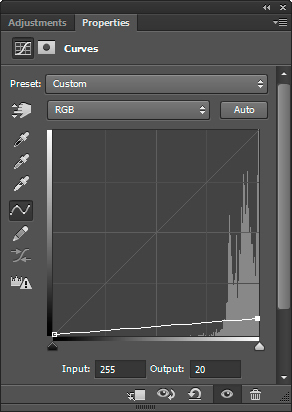 On the contrary, the JPEG of the RAW file with CameraRAW looks already pale! And do not forget, when I look to the print version, then it is as day and night! If someone really want to improve his images, he has to consider this…. Hello Tony, thanks for this update and the thorough tutorial. For those who bought your action panel, are you planning to include the 16-bit mask inside it instead of having the 16-bit masks separately in the Ps actions panel? Yes, I intend to incorporate the new process into my custom panel in the near future.